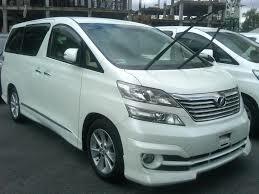 Special Luxury car rental for VIPs and Family in Langkawi Island. Najmi Car Rental in Langkawi Island provides several special Luxury cars rental for VIPs and family which is like MPV Toyota Alphard and Toyota Vellfire. Since the car is quite expensive to rent so most of the VIPs who are attend a meeting and family Holidays in Langkawi is limited.Most vehicles lot in rent during the occurrence of a major event in Langkawi such as LIMA Aerospace Show held every 2 years. Vehicles like the Toyota Alphard and Toyota Vellfire is one vehicle that is limited and we do not have that much amount to be provided to all.Meanwhile if you and your family need a luxury car for your holiday in langkawi for more memorable experience please contact us. # Sebarang tempahan hendaklah disertakan dengan deposit ke akaun kami. Anda boleh mendapatkan kenderaan, segala penghantaran adalah percuma di jeti langkawi dan juga di langkawi airport.